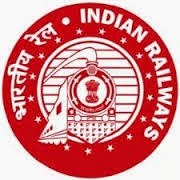 Railway Recruitment Board, RRB, government of Indian ministry of railway, published the centralized employment notice no. 02/2014, for the recruitment of 6101 posts of Engineers. This is one of the largest recruitment notification published by railway on behalf of various RRB, for the recruitment of junior engineer JE, depot, material superintend , chemical and metallurgical assistant and senior section engineer, chief depot material superintend. Education qualification : engineering degree for senior section engineer and 3 year diploma for Junior JE posts. Application form fee : rs 100 for UR, OBC male candidate and there are no application form fee for SC, ST , ex service man, women, memories, PWD , Economically backward class . All those candidates who hold the eligibility criteria which is published the official website centralized employment notice CEN 02/2014 are informed that they can fill application form online at the official website of RRB. You can apply till the last date 19 October 2014.
submission of application is allowed. Last date of Receipt of application form: 19 October 2014/. For Senior Section Engineer Group - (Senior Section Engineer, Chief Depot Material Superintendent): - 21 December 2014. Date of publication: 20.09.2014 Date & Time of Closing: 19.10.2014 up to 23.59 Hrs. Can u tell me , where is the form given to fill online? ?